On An Overgrown Path: What're you rebelling against? 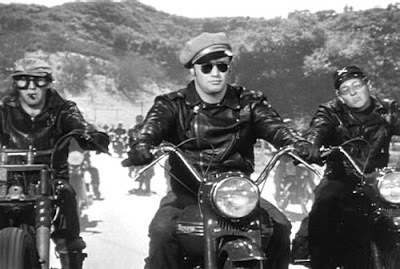 From the 1953 film The Wild Ones which starred Marlon Brando, seen in centre shot above. Art born out of rebellion here.